Remember, remember the fifth of November, a fireworks night that might scare your dog. Welcome to fireworks season: a dog’s least favourite holiday! If you -along with millions of dog owners nationwide- are dreading the effect of fireworks on your dog, keep reading this guide which will show you how you can help your dog to cope. WHY ARE FIREWORKS SO SCARY FOR DOGS? What for most of us is an enjoyable (although quite loud) experience, fireworks can be really distressing and upsetting for dogs. 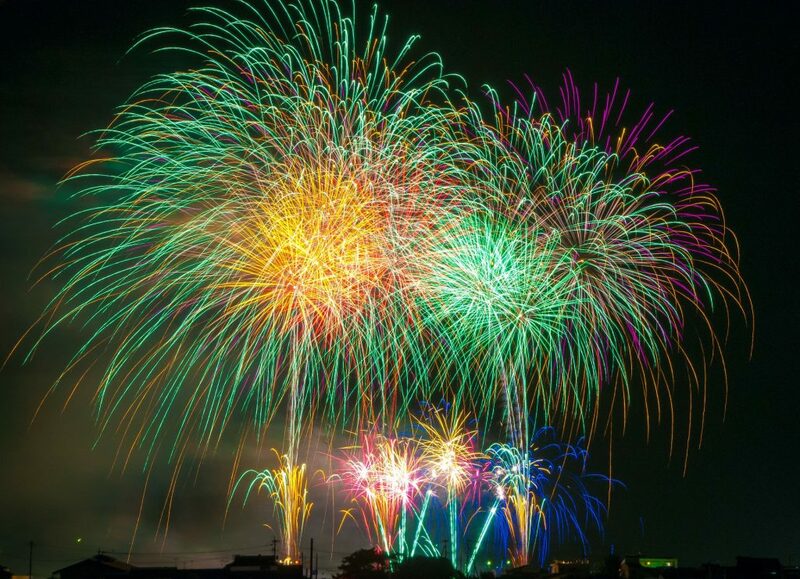 For starters, the noise of fireworks is not something either us or our dogs experience regularly; we can socialise our dogs around most noises (traffic, doorbells, voices, other animals, etc) and we can certainly desensitise them to firework noises via pre-recorded audio (CDs, Videos), however, this is a long-term training plan that a lot of dog owners don’t know about. 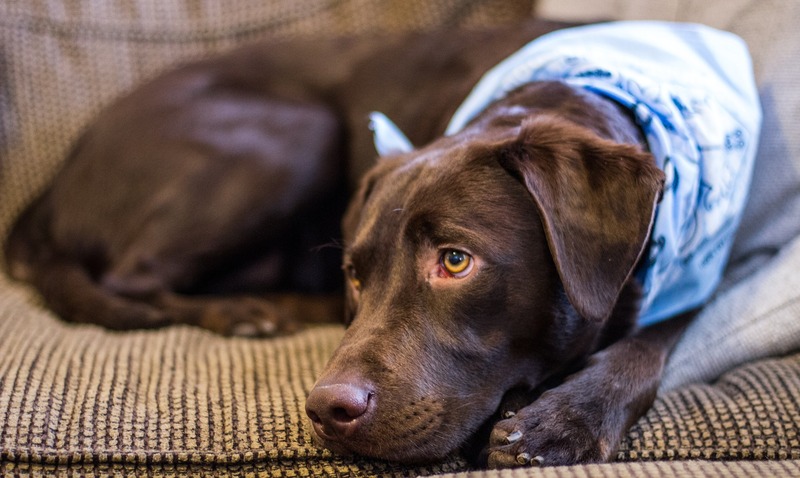 For dogs, fireworks are noisy, unpredictable blasts that happen all of the sudden. Their sensitive hearing means fireworks are much louder to them than they are to us. Furthermore, a dog doesn’t understand what’s happening and why; all they know is there’s a lot of loud explosions that leave a strange scent in the air (gunpowder)… with this perspective in mind: wouldn’t you feel overwhelmed too? 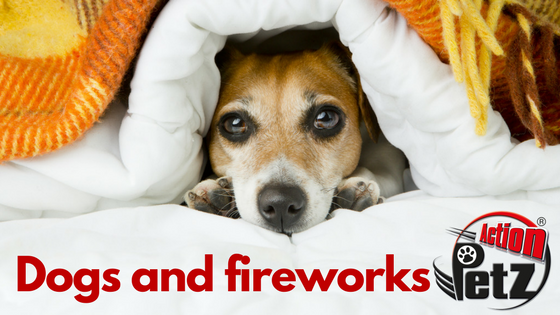 ARE FIREWORKS STRESSING YOUR DOG? trying to escape (running away from the noise). SOUNDS LIKE MY DOG IS (OR MIGHT BE) STRESSED. WHAT CAN I DO? One of the first and most important things you can do right now is to make sure your dog’s microchip is up-to-date. If your dog is not microchipped please do it as soon as possible, remember, it is illegal in the UK to not microchip your dog. By law, you’re also required to ensure your dog wears an ID tag with your name and address when out in a public space. Given the chance, a dog that is scared might try to blindingly run away from the noise; if this happens, you’re increasing the chances of him/her being reunited with you by being microchipped and wearing an ID tag. If you have time to prepare way ahead of time and/or are in the process of socialising your puppy, a Sound Desensitization approach will help provided you do it correctly. We also highly recommend seeking the guidance of a qualified and trained behaviourist for dogs who get very anxious during fireworks season. Exercise and make sure your dog goes to the toilet earlier in the day and/or before fireworks are due to go off. In addition, make sure your dog is on a lead if you think the odd firework will be let off during your walk. If your dog needs to go to the toilet once the fireworks start, ensure you take him/her on a lead. While you might think your garden is very safe and your dog has excellent recall, it is especially relevant to remember that a scared dog can, and will run away. Bring your dog indoors and ensure doors and windows are shut and the curtains drawn. Do not leave him/her outside, even if it is a secure space. Your dog is likely to cope better indoors as the noises, smells and flashes coming from the fireworks will be less intense. You can try blocking out some of the noise with the TV or radio at a moderate volume (do not play anything a full volume, remember your dog’s hearing is very sensitive!). Gentle music and spoken programmes are good options. Don’t tell your dog off! Your dog might act a bit unusual, however, this is perfectly natural. Remember they are afraid and don’t understand what’s going on. Don’t tell your dog off! Provide your dog with a cosy and safe space where they can hide. You can use his/her crate (if he/she is crate trained). You can also let your dog hide under chairs, behind sofas, desks, tables, etc. Give your dog his/her favourite blanket for extra comfort. Some dogs might be too anxious to eat. To avoid this, feed your dog with sufficient time in advance. Some dogs might drink a lot when anxious, do not forget to top-up their water bowl. If your dog is up for it: keep him/her distracted! Brain stimulation can be more tiring than a walk. You can try placing your dog’s favourite treats in a Kong, do some basic training (sits, stays, downs), hide a couple of treats in the same room and encourage them to use their nose. Don’t ignore your dog! Keep him/her company, but don’t be overbearing. Act normally and relaxed, remember: if you’re panicking your pooch will know something’s not quite right. Your dog might come to you for comfort, however, if your dog chooses to hide somewhere else (behind a sofa, for example) let them do it and let them know you’re around. You can also visit your vet (we recommend doing this with sufficient time in advance) and ask for advice on calming remedies that might help your dog to cope during this time. And last, but not least: do not take your dog to a firework display! You might think your dog is the coolest, calmest pooch in town, however, fireworks are not a natural thing for a dog to enjoy.